Check out our "News" section below for all the upcoming Children's Ministry happenings! Your heart’s desire is to see your children begin a lifelong, joyous relationship with Jesus Christ. We share that desire and make it our mission. We, at Shiloh, have a caring staff and volunteers who weekly share the love of Christ with His children. We work and pray hard to create a loving, safe environment where children can come to know Christ, love Him, and serve Him. Children are a vital and exciting part of the Shiloh family. All children are special in God's eyes and we strive to care for them very much. Our children’s department is comprised of preschoolers (birth - age 5) and school grade children, grades K-5th. Our Sunday morning children's activities begin at 9:15 a.m. with Sunday School followed by Children's Church at 10:30 a.m. We divide the classes on Sunday mornings into age appropriate groups which makes learning more effective and beneficial to the child and provide an atmosphere of learning the Bible that is exciting and fun. Our goal at Shiloh is to provide a safe environment where children are taught the Bible, taught what sin is, and taught that Jesus died for our sins. We want children to understand how they can receive Jesus into their lives and how they can begin to live for Him. On Wednesday's we have Mission Friends for our preschoolers which begins at 7:00 p.m. This is where the children learn of God's love and His desire for us to share His love with others. For the school grade children, we offer TeamKid which is a missions and Bible study series. Here they not only learn of missions, but also the truths shared throughout Scripture. unusually listless or irritable behavior. Children being treated with antibiotics should be on the drug for at least 48 hours. If you have any questions, please check with a department director or the Children's Pastor; the Children's Pastor’s decision will be final. For the welfare of all, parents are heartily encouraged not to bring sick children to church. Check-in system for preschoolers and children that give name tags and security tags for children through 3rd grade. An adult must present that security tag in order to pick up a child. All volunteers who work with preschoolers, children and students are required to have been through our process of background screenings and training. We continue to update these background screenings as we recruit new leadership and repeat background screenings regularly. 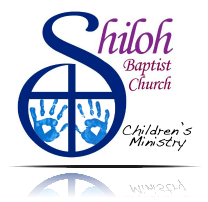 We know our volunteers…we do not ask or require any person to serve with children or students that is new to Shiloh. Along with the background checks, we require them to be an active church member before they serve with our children and students. Call Pastor Lee in the church office at 919-553-3319 or contact us online. If you are interested in serving with us in the children's ministry, please call the church office or contact us online. To register for RA's or GA's please use the sign-up form below.